Residents near the site of the Ashby high rise have vowed to do everything legally possible to stop construction of the proposed 23-story tower. 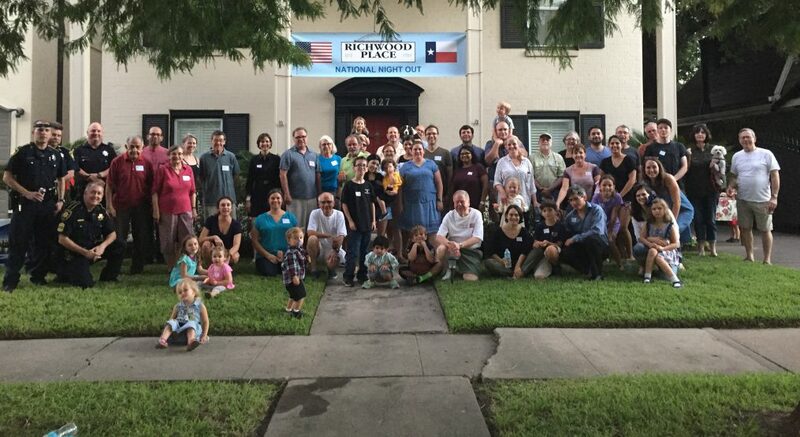 On Monday, in the first of a number of actions to illustrate the impact on surrounding neighborhoods, they parked their cars along several blocks of Bissonnet, at the site of the planned development. They organized the “creative direct action,” with around 70 cars parked between Mandell and Hazard streets at or near the 1700 block of Bissonnet, to show what traffic will look like during construction and afterwards. Resident David Thomas said all of the cars came from homes within walking distance of the protest. He pointed out that the proximity of the proposed tower to Poe Elementary School is a particular safety concern. “It’s really going to be difficult to construct such a big building in such a small space,” he said. With a new Museum of Fine Arts, Houston building planned to the east on Bissonnet and a midrise going up to the west, at Greenbriar near Bissonnet, residents are calling for a new traffic study, calling a three-year-old study that the city of Houston relied upon to approve construction of the tower outdated. Justus said the group will continue to organize “creative, effective, visual and legal” protests to convince investors that it won’t make sense to put the tower in the proposed location. “We’re not going to give up,” she said. She noted that the Southampton and Boulevard Oaks neighborhoods surrounding the proposed tower recently renewed their deed restrictions for another 50 years to ward off any future high rise development. And while some critics say the affluent neighbors are blocking progress, Justus noted that the Stop Ashby High Rise group has received strong backing from other neighborhood groups throughout Houston. “We’re sending a message that it’s time for the city to start thinking about how Houston protects its neighborhoods,” she said. We will have a board meeting next week. Tuesday, May 29 at 7pm. All members are always welcome to Board meetings. Please subscribe to our yahoo group emails (which are private) for more details. We will handle old business, new business and we will be setting the calendar for the remainder of the year. The City of Houston deferred considering the request for a variance of the setback requirement for the Audi dealership along Greenbriar at Lexington until today. They are set to consider the variance request at 230 today at City Hall Annex. If you are interested in how this development will impact our neighborhood, please attend or call let the city of Houston know your concerns. We hope to see you and your neighbors Monday night! It’s that time of year again! 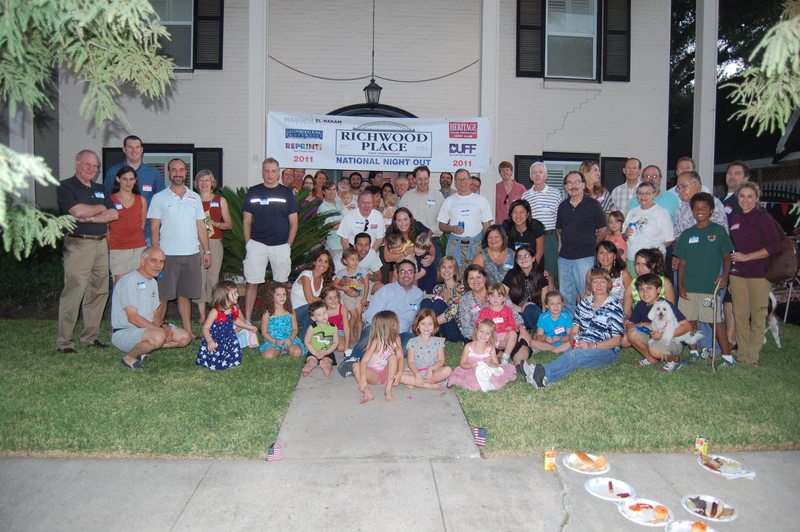 Time for our Annual Spring Neighborhood Block Party and Spring Membership Drive! 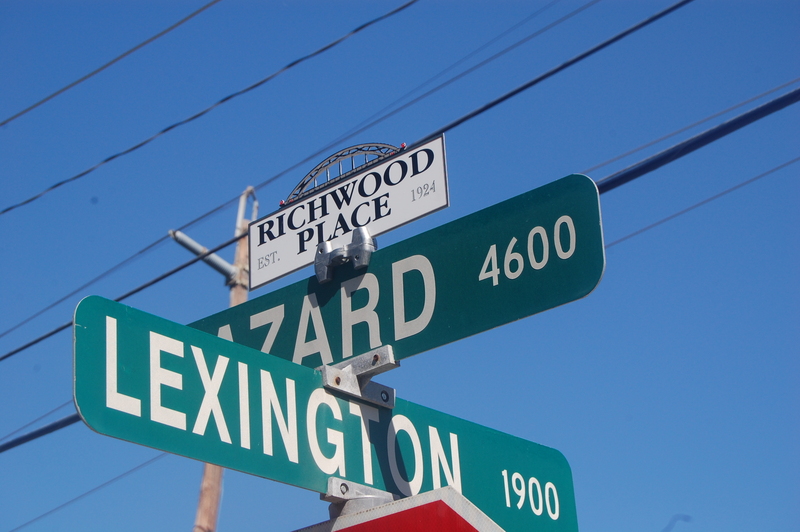 We will be hosting the block party thanks to the new and soon to be-previous owners of 1853 Lexington at the corner of Lexington and Hazard (South East corner). The party is from 6-8pm. It is a potluck. Please bring a dessert or side dish to share. We will provide burgers, hot dogs, fixins and some beer and wine. If you would like to bring extra wine/beer to share, please do. The more the merrier. We are also still accepting items for the raffle basket. If you would like to contribute, please let Rebekah know by Sunday. Items we need: wine, gift certificates to local shops/restaurants, tickets to events, etc. elrebekah@gmail.com Membership dues support our presence in the neighborhood, beautification projects, safety, deed restriction enforcement, printing of fliers, parties and much more. Many thanks to Liuda Flores for these "repurposed" signs! 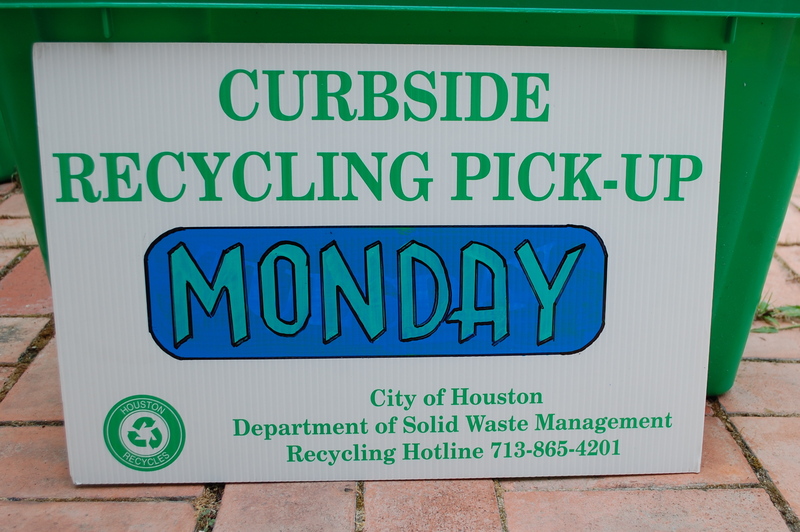 Curbside recycling is scheduled to take place in our neighborhood every other Monday. Our pickup was missed a few times recently. However, we are working on that and trying to increase the participation in the neighborhood by reminding everyone when to put out their recycle bins. These reminder signs went out in the neighborhood over the weekend. Many thanks to Liuda Flores for getting the signs for us and painting them with the correct day. Thank you to the block captains for taking on this new responsibility to help us increase recycling in our neighborhood. Recycle bins must be put out by 7am on our recycle day. If you put your item out on time and your pick up is missed, please call 3-1-1 to report. In other news, construction is nearly complete at 1850 Norfolk and the home will be opening for a grand event Wednesday evening. One of our local real estate agents asked that we let each of you know that there will be a party this Wednesday bringing a large number of people and cars to our neighborhood. So please be aware of this as our neighborhood is showcased this week. Have a great week and we hope to see you Monday evening! Please review the following information from the City of Houston Planning department re: a new development proposal along Lexington between Greenbriar and Sandman/S. Shepherd. 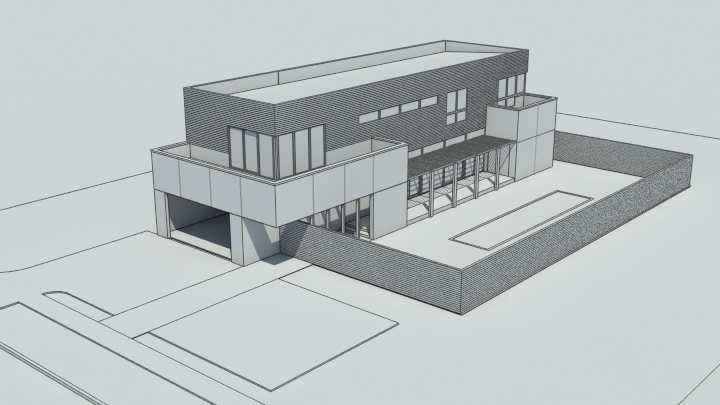 The proposal is to construct a seven story structure for an Audi dealership on the South side of Lexington and a storage parking structure on the North side. There is a planning commission meeting this Thursday that will include public comment. Thursday, April 26, 2012, beginning at 2:30 p.m.
Good afternoon, neighbors! Hope you are all keeping dry out there on this wet March day. I just wanted to send out some updates about things that are going on and have been going on in the neighborhood. We had our first general meeting of the year on Tuesday, February 21 from 7-8pm at Zoe’s Kitchen. There were approximately 20 residents in attendance. We also had a visit from Council member Ellen Cohen’s chief of staff. Some of the topics we discussed included: Security, CIP plan, Deed Restrictions, Drainage at Ervan Chew Park, our new Neighborhood identification and Citizen Patrol/Watch signs, Street reconstruction, drainage and sidewalk improvement initiative via 3-1-1. We set a date for our Spring Membership drive/ Block party, Wednesday, April 18. 6-8pm. Possible location is the 1900 Block of Lexington unless another resident volunteers their driveway/yard. There will be a raffle. Every household that is a 2012 member of the Civic Association will be entered to win. NNO in the fall will be on the 1800 Block of Norfolk. We heard a report on Graffiti by one of our neighbors working hard to abate graffiti very quickly. Thank you! Your work is really making a difference. Behind 1857 Richmond there are several shopping carts. We could use a volunteer to drive by with a truck, pick up the carts and drop them in the parking lots of the stores where they belong- they are marked. At least 2 belong to Randall’s. I’ve asked them to come pick them up and they have not. Please let me know if you can help with this. The city moved forward with drainage improvements to the soccer field at Ervan Chew Park this month. I will send out an update when I receive more information. A new initiative to work toward seeing our streets, sidewalks and drainage improved will be rolling out soon. We’ll send out more info once the plans are finalized. I’m posting pics of the new sign toppers in a separate post. Check them out! Hope you all have a great day.